Why are zombie stories so popular? 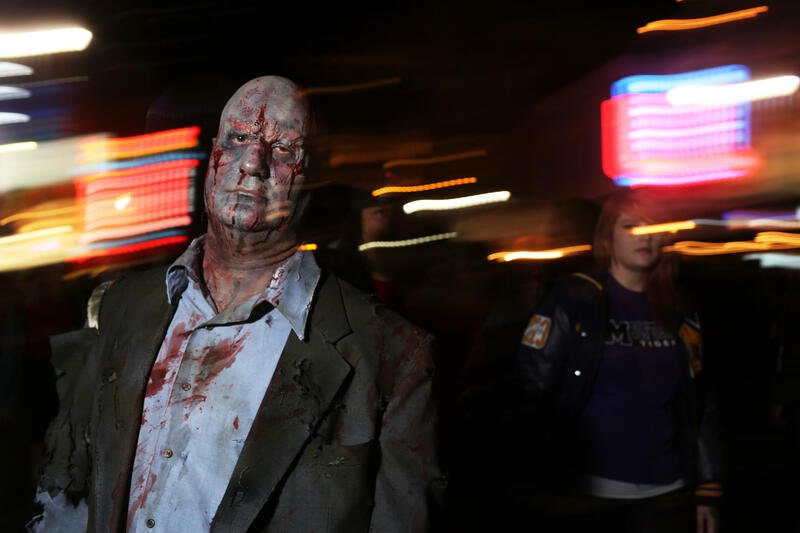 Garrett talks with KUT's Jennifer Stayton about how the zombie apocalypse narrative helps the living cope when life gets tough. "The great – and terrible – thing about zombies," he says, "is that they can stand in for whatever keeps us awake at night."